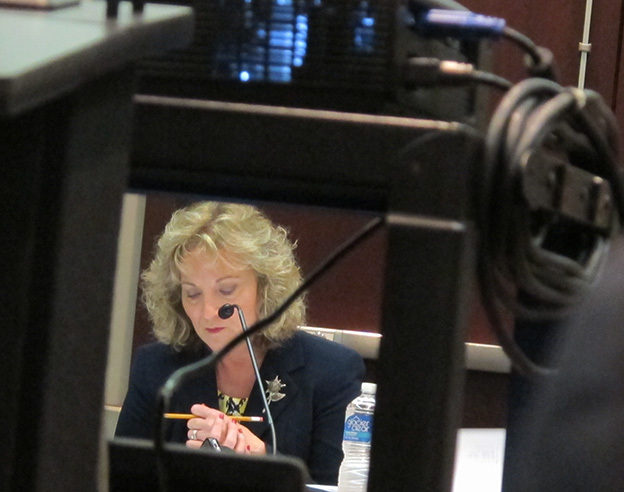 State superintendent Glenda Ritz leads the August meeting of the State Board of Education. 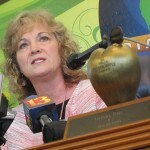 Indiana schools will see “great delays” in the release of their A-F letter grade ratings this year, Indiana schools chief Glenda Ritz warned Wednesday. Ritz told the State Board of Education she won’t release this year’s school grades until Department of Education officials and state lawmakers complete their separate investigations into how former state superintendent Tony Bennett and his staff calculated last year’s school grades. While saying discussion of what the IDOE’s investigation has turned up, the current state superintendent says her staff has already found there was “manipulation of calculation categories” as Bennett’s administration calculated the 2012 grades. 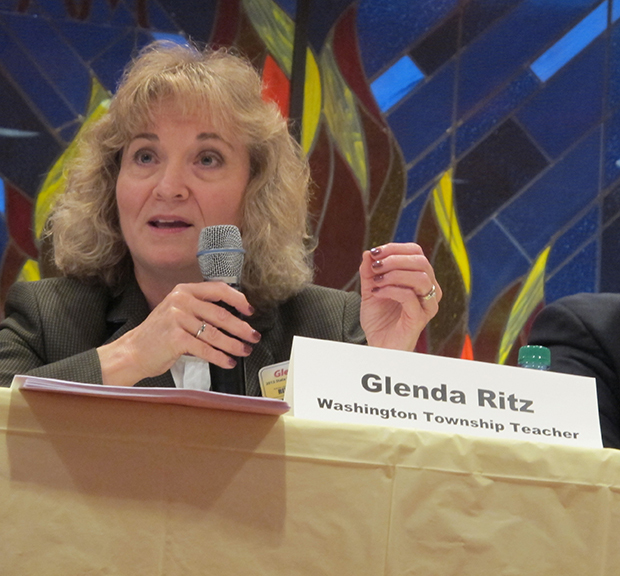 “There’s going to be probably some discrepancies between what was actually done and what you approved in rule,” Ritz told State Board members. 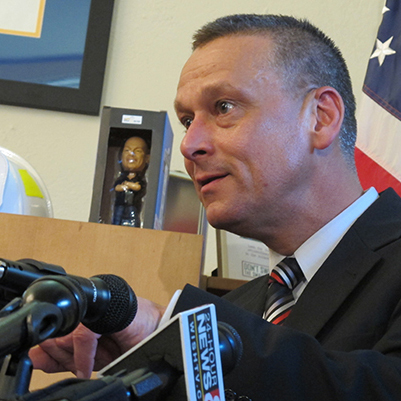 Ritz, a Democrat, says she hopes to complete the investigation by a Labor Day deadline that Senate President Pro Tempore David Long, R-Fort Wayne, and House Speaker Brian Bosma, R-Indianapolis, set for their investigation. Ritz says there are “outside forces” that may delay the results of her investigation into the 2012 A-F calculations beyond Sept. 2, but she says she told Long and Bosma she wants an “expeditious” conclusion to the investigation. So, what happened to the 2012 grades? If you want to get technical, both former education reporter and School Matters blogger Steve Hinnefeld and The New America Foundation’s Anne Hyslop have offered their own explanations of how Bennett’s team changed the ratings.